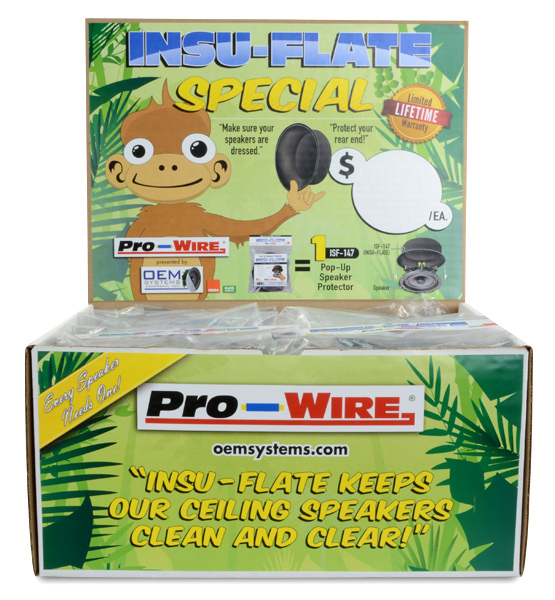 Protect your loudspeakers with the Insu-Flate. The ISF-147 will protect in-ceiling loudspeakers against abrasive insulation fibers, dust particles, and other debris that can disable your loudspeakers. 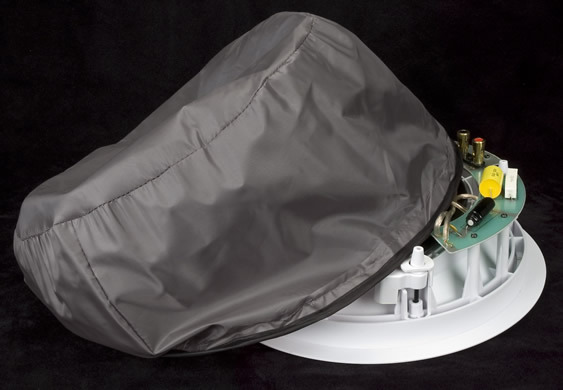 This great "Pop-Up" nylon loudspeaker cover is a simple cost-effective solution that will significantly benefit your installations by improving the performance & life of your audio system. This set of 24 ISF-147 pop-up protectors includes our custom merchandiser display.